Is DNA Testing Right for Me? I have been asked a lot about DNA testing recently. Within the last two years, I have noticed it begin to trend. In fact, prices have come down significantly from what it used to cost. But the big questions are: is it safe, and is it worth it? So why should I have a DNA test done? If you are looking to find more about your ethnicity, you will be sorely disappointed. 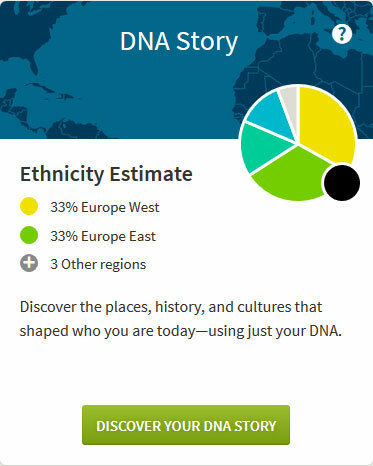 Unless “European-West” means a great deal to you, these tests, especially those done by Ancestry.com will not give you much more to work with than you probably already know. What they can uncover for you, especially those of you with Pomeranian ancestry, is a connection to other living people. If you are looking for another way to link family members, it will take work, but it can be extraordinarily useful to use your DNA to complement the data you already have. I have found numerous connections I would have otherwise missed, especially with family immigrating to the United States. It can help take out the guess work from immigration and census records and pinpoint exactly which “John Doe” was in your family (or in this case, perhaps “Johann Lemke” would be a better fit). My answer would be a solid “yes.” The only company I do not feel comfortable trusting at this point is 23andMe. I have heard from numerous reliable sources that they are invested in using their results for medical research–including designer babies. However, I feel entirely safe and respected by Ancestry, FamilyTreeDNA, and as of late, MyHeritage. There are other places you can upload and compare your DNA later. One of these is GEDmatch.com, which is free and one of the most well-protected platforms I’ve found. They take privacy concerns seriously. There has been a lot of negative press recently concerning the “royalty free” clauses contained within the terms of service. This is not unlike many other services that are provided, and there are enough other clauses in the terms of service which seem to further clarify the “royalty free” statement as a legal safeguard. These other statements make it very clear that you are the owner of your DNA, and you may delete it or revoke access at any point. My only reservation would be this: do not join in any research-based projects. The standard license will protect you. Joining into other research projects–and you have the option through a checkbox to either join or not–may allow your genetic matching be used in professional research. Stick to the basics and you will be fine. Remember that if you revoke access from everyone, you won’t be able to see your matches. It is crucial to allow other members to find you IF you are a match (with these, you will not show up on another person’s match list unless you are a match). Who should I order a test from? If you want to know about all of your Ancestors going back, I would buy the autosomal DNA test from Ancestry. Globally, MyHeritage is a leader in this regard, but they still just don’t have enough matches. Ancestry provides a far more compelling argument for why you should purchase from them. 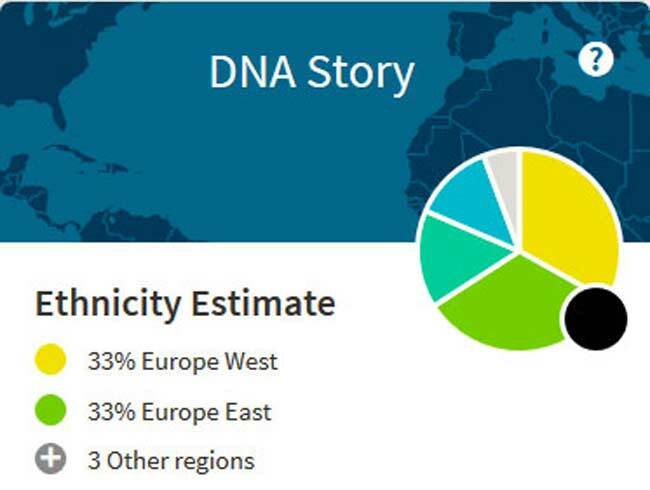 I would then download my raw DNA file and upload it to MyHeritage and GEDmatch so you can find more results worldwide. To follow your paternal or maternal lines, I would strongly recommend purchasing through FamilyTreeDNA. Their database is ever-expanding, and they offer the most of any service I’ve found–including thoroughness and depth of searching. For the price range, I would order the Y-111 test to have the most accurate results. You could later upgrade to the Big Y test to discover your terminal SNP. This will help derive where your surname most likely originated. It follows the male line back indefinitely, as the Y-chromosome rarely mutates substantially. The only worry with this test is if you run into an illegitimate child; this could throw off your tree entirely, as you might not be a member of that surname. Back in the 1700s and through the 1800s, it was commonplace for an unmarried woman to pass off her name to her illegitimate children. Consequently, your Y-chromosome might in-fact be that of the illegitimate father. This test can only be done on living male members of your family. The X-chromosome works similarly, although it follows the mother’s line all the way back. While the man’s surname typically passed down unchanged, the female’s last name would change with every generation. This can make it substantially more difficult to trace back, but not impossible. When I immersed myself in the world of genealogy three years ago, I never knew what I would uncover. Somewhere in my first year of joining groups of other researchers online, I came across numerous posts about DNA testing. At first, I thought it was such an odd thing. After all, I was concerned with finding the paper trail and connecting concrete evidence and proof to my family tree. I remember one member on the list (we’ll call him Bob) who adamantly pushed for everyone to have a DNA test done, much to my and everyone else’s chagrin. These emails continued for months, and just when we had all thought they were finished, Bob would send another email and stir the pot. Fast forward into my second year of research. Ancestry started to advertise home DNA kits on television. I was a little more familiar with the concept, and by that point, my digging had hit a dead end. Archives had their inventories online, and the books I required to solve several mysteries did not exist. With no paper trail, I began to look into DNA testing. It was my last-ditch attempt to solve the mystery of where my unusual surname came from. I ordered an autosomal DNA test from Ancestry.com, had my grandfather take it, and waited for the results. The genetic breakdown was disappointing, but the more interesting results came from the connections I found through matched DNA. By searching through the list, I was able to pinpoint other members who shared various sections of my grandfather’s DNA. Ergo, I was able to find other relatives from my great-grandfather’s side by ruling out my great-grandmother’s side by comparing the results with a relative from my great-grandmother’s side. I was able to locate family in Iowa with quite a substantial and well-documented tree. While they were able to help me, I was also able to provide them with details that filled in some of the gaps for them. While no paper trail existed to link my family with theirs, they came from the same village, had the same last name, and our DNA matched. The closer I looked, the more connections I was able to make to other relatives in Kreis Belgard, especially near the area from Rarfin and Podewils to Groß Rambin. I was able to use the databases on GEDBAS and FamilySearch along with the Belgard-Schivelbein OFB (Ortsfamilienbuch) to piece together missing people–hundreds of them–in my family tree. Although this information left me starry-eyed and hopeful, the outlook on finding anyone matching my surname was bleak, to say the least. Over the summer, I had my grandfather take a Y-chromosome DNA test at the 111-marker level through FamilyTreeDNA. Currently, no one remotely matches me. This was not a surprise. However, I had a suspicion that others bearing a similar surname might be related. My hope is to one day test and match with them to determine how we could be related.